Although online dating is pretty much accepted worldwide, you can still hear some negative comments and stigmas that might pull you away from the world of online dating. That is perfectly normal. There will always be some people who experienced certain bad things related to the subject, but bear in mind that those people are just individuals. You have to look at the big picture and the big picture of online dating world looks pretty good nowadays. We are here to talk about the good things, the advantages that this type of dating has, and there are many perks and benefits that you will experience if you dip your toe in this pool of endless possibilities. Let’s see some of the biggest advantages of the online dating world. Finding compatible people in real life can be very tough and extremely frustrating a task. First you have to find someone that you like, then you have to get to know them really well, but most of the time you simply end up empty-handed. It takes a lot of effort and it requires a lot of time. However, when it comes to online dating, the situation is completely different. Since you have the chance to immediately state what you’re interested in, or search for a specific type of person, you will always have the opportunity and privilege to chat with like-minded people. Online dating allows you to search and find exactly what you’re looking for. No more blind dates and no more failed dates. Simply find someone similar to you and the rest should be pretty easy. Communicating and bonding with someone who is compatible with you should be a walk in the park. We all know how stressful real life dating can be. You’re worried about making a good first impression, you mess up and then you try to make up for it the whole evening, turning your whole date into a disaster. Online dating sites, on the other hand, provide you with the opportunity to date from the comfort of your own home. That means no nervous breakdowns and no awkwardness. Simply no pressure at all. Only when you’re completely relaxed are you able to be your best self and that is exactly when the magic happens. When you’re completely comfortable, you are able to be funny, witty, and interesting. You’ll have no problems chatting with your match and success is pretty much guaranteed. This type of dating is especially good for those shy, nervous, and awkward people who sometimes struggle with social anxiety. Online dating sites are their place to truly shine. 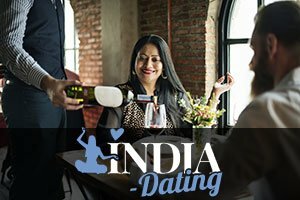 Joining an online dating site is much easier and cheaper than going on countless first or blind dates that will cost you time and money. Literally anyone with internet access can join and experience the perks of online dating platforms. It takes 2 minutes to sign up and the dating games can begin. Online dating allows you to meet up to 100 potential matches within just a few days. That is just unthinkable in real life dating. You can simply sit in the comfort of your home and easily browse through thousands of beautiful and interesting people. That is just an awesome perk that only this type of dating can provide. If you haven’t entered that arena yet, we strongly recommend that you try it out.